If you are searching for a piper to bring a unique and stirring character to your occasion, book the Houston Bagpiper now. 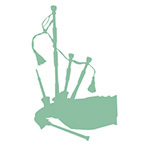 We offer private lessons for individuals wanting to learn the art of the highland bagpipes. Find out more information and pricing here. We have tried to answer the most common questions that are asked when you book an event. Check here for the answers.